When you’re sound asleep on Sunday night, a decision will be made that puts your health at risk. Unfortunately, you have absolutely no say in it at all. It’s called daylight saving time—when clocks “spring forward”—a now pointless activity, designed to decrease energy output during World War I, which has endured the test of time in many countries across the world. 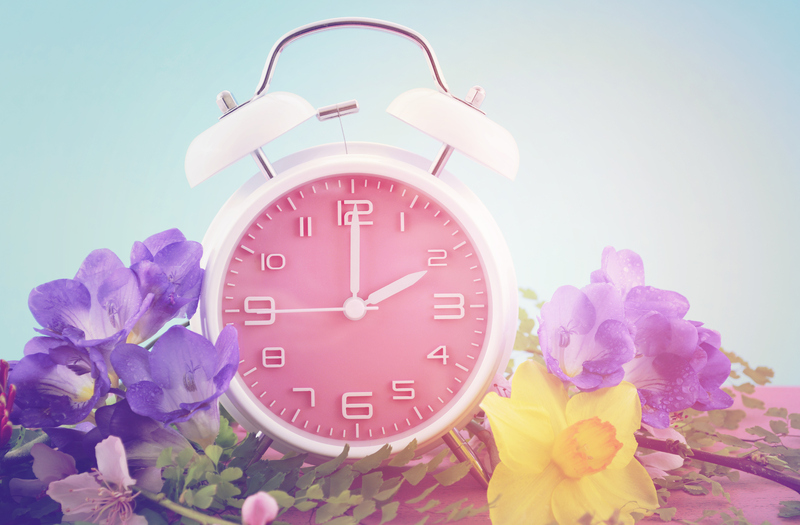 Stripping you of a valuable hour of sleep and likely making a mess of your morning, daylight saving time actually comes along with some severe health and safety implications. On the Monday and Tuesday after clocks have jumped forward by an hour, strokes, heart attacks, car accidents, poor decisions, and other accidents spike worldwide. Studies show that overall stroke risk goes up eight percent in the two days following daylight saving time. Those numbers skyrocket depending on your current health and age, though. Stroke risk increases by 25% if you’ve got cancer and 20% if you’re older than 65. But the health effects don’t stop there. Research has also shown a 10% spike in heart attacks, workplace injuries, car accidents, and poor decision-making, and a drop off in cognitive abilities. You’re also more likely to feel stressed in the days following daylight saving time, as you’re waking closer to the time of peak cortisol levels in the body (cortisol is the stress hormone). Forcing yourself to get up earlier because the clocks have magically moved forward an hour throws off your natural sleep cycle (circadian rhythm) and appears to throw the body into a state of shock, which can have deadly implications. But what can you really do about it? Well, if you can book Monday off of work, it might be a good idea. If you can’t, then it’s probably worthwhile to get to bed about an hour earlier tonight, tomorrow, and Sunday (and wake up an hour earlier) to best prepare yourself for the wake-up on Monday. If possible, try to get a couple of naps in on the weekend (but no longer than 30 minutes and not too close to bedtime); a new study has shown that banking sleep in the form of short naps may be effective in preventing the effects of fatigue or missed sleep. If you have some driving to do, try to delay it to later in the day or walk or take public transit instead. But for the most part, try to take it easy and stick around the house for a day or two until your body has somewhat adjusted to the change. It could be the nice little break you need! “Does Daylight Saving Time Increase Risk of Stroke?” American Academy of Neurology web site, February 29, 2016; https://www.aan.com/PressRoom/Home/PressRelease/1440, last accessed March 3, 2017. Bakken, J., “Heart attacks rise following daylight saving time,” University of Alabama at Birmingham web site, March 6, 2012; https://www.uab.edu/news/focus-on-patient-care/item/2141-heart-attacks-rise-following-daylight-saving-time, last accessed March 3, 2017. Walsh, J. & Kramer, S., “Daylight-saving time is bad for your health and the economy,” Business Insider web site, March 12, 2016; http://www.businessinsider.com/daylight-savings-time-bad-health-effects-sleep-2016-3, last accessed March 3, 2017. Amal, P. et al. “Sleep Extension before Sleep Loss: Effects on Performance and Neuromuscular Function,” Med Sci Sports Exerc. 2016 Aug; 48(8):1595-603. doi: 10.1249/MSS.0000000000000925.